Rachel Boudreau of Gayton’s, Memramcook passed away surrounded by her family on Saturday December 1, 2018 at the Villa Providence, Shediac at the age of 71. Born in Moncton on July 4, 1947, she was the daughter of the late Victor and Raymonde (LeBlanc) Leger. She was a loving mother and homemaker, Rachel was a very good cook and always tended to the needs of her family. For those that knew her, she always had a well-kept home landscape. Her passions were her grandchildren and attending their ringette and hockey games, playing cards with her sisters and brothers-in-laws and gardening. 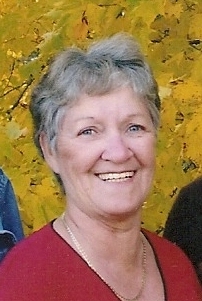 She will be sadly missed by her two sons, Henri (Debbie) Boudreau and Raoul (Margot-Lyne) Boudreau of Old Shediac Rd, four grandchildren, Amélie, Katia, Janica and Yanik, four sisters, Jeannine (Clovis) LeBlanc of St-Joseph, Bernette (Robert) LeBlanc of College Bridge, Louise (Terance) LeBlanc of Little Dover Rd and Dorine (Paul) Boudreau of Memramcook, one brother-in-law, Charles-Henri (Helene) Boudreau of Gayton’s and by several nieces and nephews. She was predeceased by her husband Jean-Paul (2012). Visitation will be held at Dupuis Funeral Home on Monday December 3 from 2 to 4 and 7 to 9 pm only. Funeral mass will be held at Saint Thomas de Memramcook Roman Catholic Church, St-Joseph on Tuesday December 4 at 11:00 am. Interment will be held in the parish cemetery.